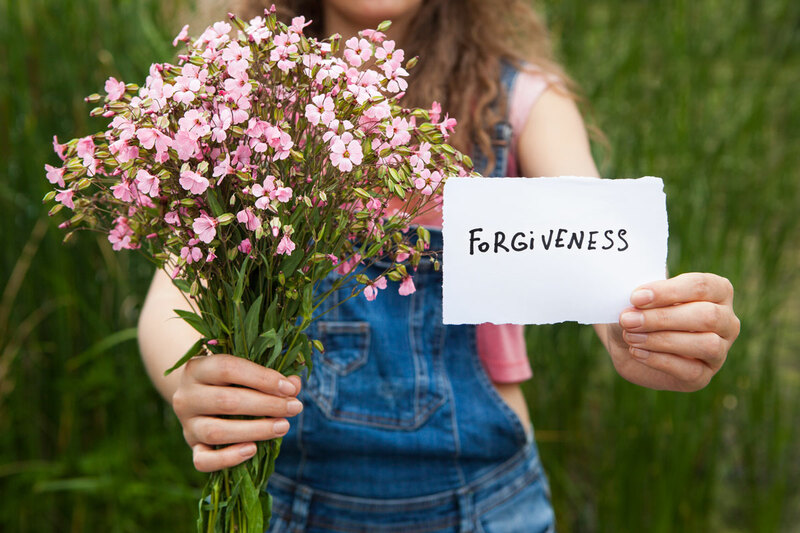 Do you forgive easily, or, are you one to hold a grudge? Or, maybe you’re someone who’d like to learn to forgive easily because you believe it’s a better way to be? The truth is, practicing forgiveness IS a better way to be. However, let’s be real – it’s hard to forgive. It’s hard to let go of the things people have done that have caused us pain. Even if you say to yourself or to the person who offended you, ‘no big deal…all is forgiven,’ is that really it? Did you really forgive them? Were you really able to let it go? It will, of course, depend on who they are and what they did. I think we can all agree there’s a huge range of possibility here. However, let’s be honest – if you’re still thinking about that person or that thing they did, and you’re playing a re-run reel of the events and what you wish you’d said and/or did over and over in your head – you need to face up to the fact that you may not have actually forgiven them. I know what you’re thinking – if saying ‘no big deal…all is forgiven,’ doesn’t do the trick, then what will? And…why does this even matter? It matters because holding a grudge can actually have a profound effect on your emotional and physical health. Practice forgiveness. With intention. Your intention is the key here. It’s the difference between simply saying, ‘I forgive you,’ and really meaning it. And, intentional forgiveness is a powerful path towards healing your body, mind, and spirit. The next time you find yourself playing that re-run reel in your head, just stop. Take a deep breath. Exhale slowly. Then, feel the emotions that come up. Let them pass through you. See the person you want to forgive in front of you. Speak to them out loud or to yourself. The most important thing is to speak from your heart, whatever comes to mind, deliberately, and with intention. It can be as simple as ‘I forgive you,’ or, a more complicated message. You may be surprised at what comes out. Honor the message your heart wants to convey. Repeat as necessary. And, if you’re not ready to forgive? Give yourself time. Forgiveness should never be forced. Trust yourself. You’ll know when you’re ready. The act of forgiving someone is akin to cutting the invisible cords that bind you to the person who hurt you – think of it as a declaration of independence, of sorts. It also liberates you from that thing they did that was so hurtful in the first place. By releasing the resentment and pent up emotions that may be stuck somewhere inside your body or mind, you’re restoring your body’s balance. Your thoughts and/or emotions are no longer in control of you. YOU are back in control and free to be who you are – to love yourself, to feel other emotions, or, think other thoughts. In other words – you are free. Imagine you have bitterness towards your family because of the way you were raised. The negativity of your resentment is like a micro-dose of poison – it won’t kill you outright. However, it will keep you from enjoying optimum health. It will stunt your (emotional) growth, and keep you from expanding into your best self. It dulls your inspiration and intuition. Forgiveness gives you the opportunity to let go of the resentment and pain so you can redirect your energy and focus on a new purpose. You feel lighter. Your mindset shifts and you start considering things that once seemed impossible. Your intuition and inspiration are now free to lead you in a whole new direction, towards a whole new purpose in life. Anything really IS possible. Similar to how your kitchen drain can get clogged with food scraps, your life can become stuck when it’s clouded with long-held resentment and pain. Thus, just like the water in your kitchen sink flows freely when you clear a blocked drain, practicing forgiveness to clear the resentment and pain allows everything in your life to flow more freely. It unblocks your intuition, so ideas come to you with ease. You feel inspired to act in ways you had never thought of before. You will enjoy greater clarity and focus. Unburdened by the weight of resentment and pain, your life flows with greater ease than you ever thought possible. Forgiveness has made a tremendous impact in my own life. It’s my go-to practice to remain balanced, in control, and inspired. I invite you to give forgiveness a try and see how it can transform your own life, too.